I have a slightly odd relationship with Yorkshire puddings. As a kid I never liked them (which for me translates as wouldn’t try them) and it wasn’t until I went to live in York and saw these massive Yorkshires filled with meat, veg and gravy and I really gave them a try. I then went to live in Germany with a landlord who was obsessed with finding the perfect Yorkshire pudding recipe – he couldn’t get them to rise. Being British, I immediately became his onsite expert – despite the fact I’d never cooked one before in my life. It wasn’t until I saw Brian Turner share his mum’s method on tv and hastily scribbled it down a couple of years ago that I regularly started making Yorkshires (and giant ones and toad-in-the-hole). It never fails to deliver perfect crispy well-risen results. You don’t need to measure anything, just use the same volumes of ingredients – egg, milk, flour. First thing to work out is the volume of egg. So grab two identical cups (mugs/ramekins, whatever) and crack an egg into one. Into the other, pour plain flour until it fills the cup to the same level as the egg in the other one. Add a pinch of salt to the flour. Put the egg into a mixing bowl and pour milk into the cup it’s just come out of up to the same level as the flour. Add a dash of vinegar to the milk. Pour the flour and milk into the bowl with the egg and whisk all the ingredients into a smooth batter. While this is left to stand for 10 minutes or so, put a little fat (from beneath the roast for flavour, or a little cooking oil if you’re not roasting) into the tin you’re using and get it good and hot in an oven set to about 200 degC. Pour batter into the tin or divide into a muffin tin for individual Yorkshires and give it about 15 mins in the oven – keep an eye on it so the tops don’t burn. These should rise a good two or three inches above the tin. 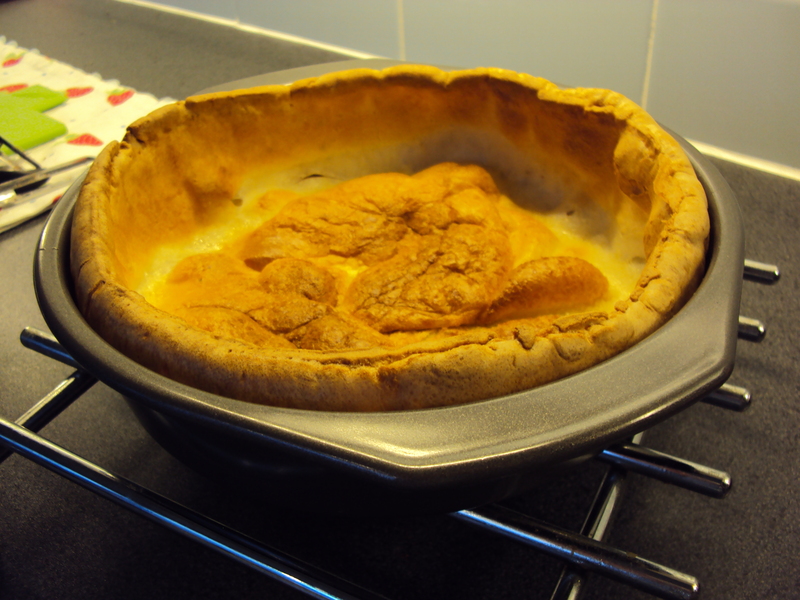 For the giant Yorkshires, I used a pair of seven inch cake tin and made a double amount of batter (i.e. volumes based on two eggs.) Never done it before (always bought frozen ones) so was a bit nervous they’d collapse or not rise, but it worked a treat. If they rise in the middle as well, just press them down as you take them out of the oven. For the filling we always use tinned mince or chunky steak (M&S version is surprisingly good) as a really quick way of getting this tea on the table. With a few boiled spuds and carrots/beans/broccoli/peas in the Yorkshires before the meat and gravy go in it’s a good way of helping with the old five a day too. I’ve also done it with fried mince and onions, a little flour then stock and herbs to make gravy but it does turn something simple into a bit more of a faff and makes for more washing up. I’ve just made Yorkshire puddings from scratch, for goodness sake, I’m allowed to cut a few corners! I know people turn their noses up at tinned mince/stewed steak but I’ve always been a fan (largely due to a deep love of anything served in gravy) and while I’m sure there are plenty that live up to their dogfoodesque appearance, even Delia uses the M&S mince so it must be OK. Anyway, it’s a bloody good midweek tea that’ll make you feel like you’ve knocked up a roast dinner in less than half and hour. This sounds great I’m gonna give a try. 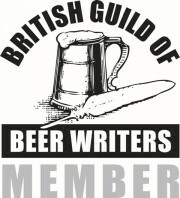 Thanks Mani – be interested to see what you think of it. 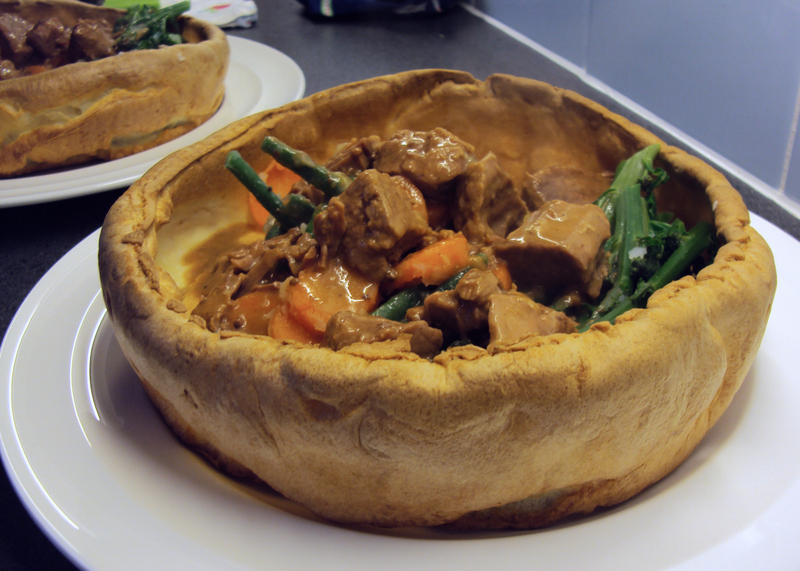 My dad seems to think I cant cook so I said I’d make a large Yorkshire pudding for tea and found this recipe online. I am just letting it stand now so I am relying on this so I can laugh in his face when it comes out of the oven perfectly. Finger crossed. I will let you know how it goes!